"Here at WeatherTek we take pride in quality craftsmanship. 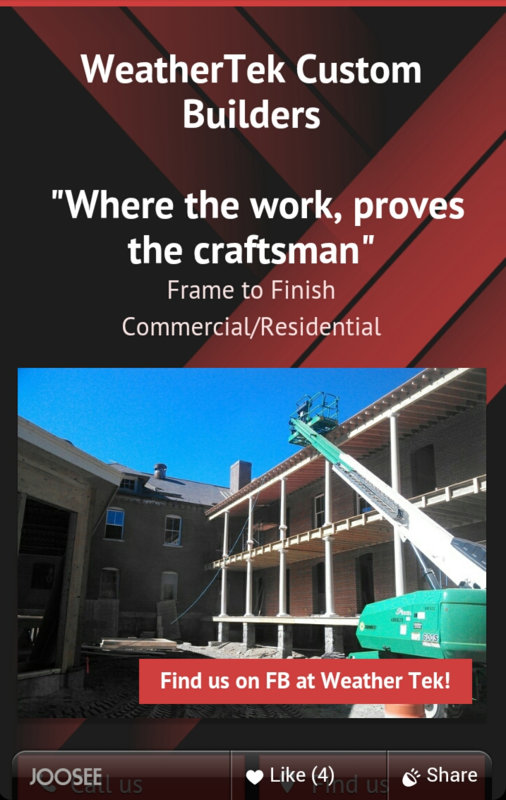 Please feel free to browse through our portfolio to see for yourself." What some new threads? Then our Site of the Week has got what you need. 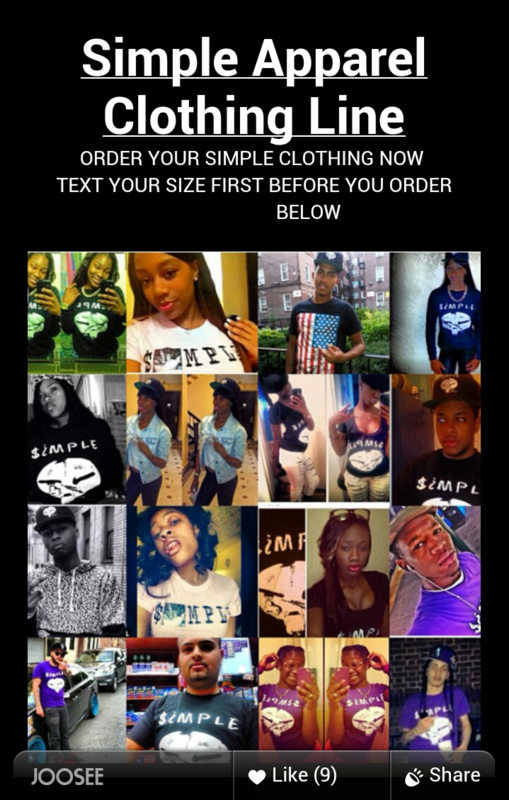 Simply Apparel is a new clothing label bringing you the freshest clothes available on the street! 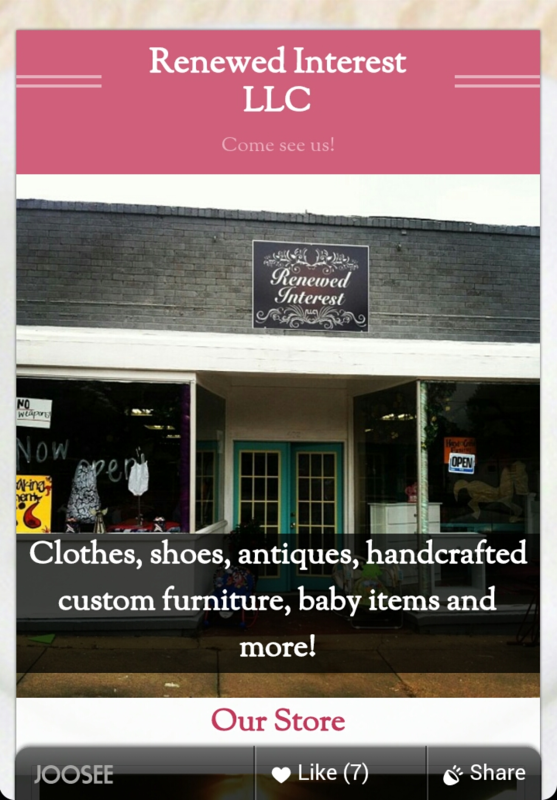 Renewed Interest take clothes, shoes, handmade furniture, antiques and many more things on consignment, providing used goods with an opportunity to experience love again. Even better is that they stock both new and used items, including items from skilled local craftsmen and artisans. If you're searching for them on foot there is no reason to miss them as they've helpfully included a picture of their storefront so that you don't have to be in any doubt at all. This is a great feature to take advantage of in Joosee, enabling your potential customers to not only recognize you when they're looking for you, but to also give a personal touch to your website that even those that will never actually come into the store will appreciate. They've made a truly beautiful website so why not go and check it out? Exactly, you've no reason not to! Another week, another beautiful looking site! "We are Habia trained and insured extensionists & beauty therapists within Glasgow. Consultations are available via email or on a one to one basis. We look forward to hearing from all our new and existing clients x"
If you're the owner of a website choc-full of fantastic content, you might be scratching your head wondering how on earth you're going to fit all that lovely abundant content in to a site that works on devices with screens as small as 4". But wait, before you give up and resign your users to pinching, poking and blundering their way around your site on their phones (or simply giving up altogether) I have some good news to tell you: taking your content-heavy site mobile doesn't have to be a headache. By taking on board a few easily applicable concepts and ideas you can take your content mobile in a way that your users will love. The first thing to do for any mobile site is to set some goals. Think about what you want the site to achieve - if you run a shop an obvious primary goal would be for the mobile site to be a place to sell directly to the customer. Non-retail businesses might not be able to sell directly to clients, but they can showcase their services in a way that appeals to clients, generates leads and results in eventual direct sales. Remember that 1 goal is not enough for a website - identify secondary goals to make sure your website works for your business in more ways than 1. Preparation is key when trying to squeeze content into a mobile-sized site, and it's often the difference between a well thought-out, intuitive mobile site, and a site that is a confusing mess. Top of the list of priorities is casting a critical eye over the content on your existing website and making sure that it's all necessary and expressed as succinctly as possible. If your existing site is bloated and full of poorly-written content then now is the time to take to it with a sharp knife and be rid of all the clutter. Also don't forget to think about how the structure and form of the site can be organized to achieve your goals. If you're selling products, it's no use having them tucked away on the last page where customers will have trouble finding them. Your user should be able to get to the information they want as quickly and painlessly as possible. - Bold type and bullet points make content easier to digest. Use them. 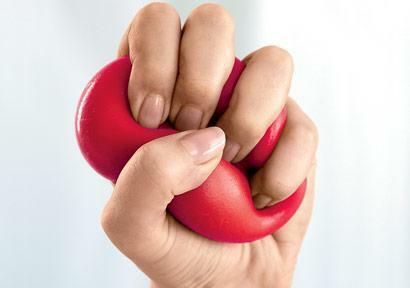 - Chop down long paragraphs - people bounce away when confronted with too much text. - Keep it readable - choose a clear and distinct font and font size and bear in mind screen sizes! - Include lots of verbs as they make more effective copy than adjectives. - Use pictures. It might seem antithetical, but if you can use a picture instead of writing on your site then do it! They're much more pleasing to users' eyes and minds. A picture is a quick and efficient way of presenting information and evoking emotion. Because of size restrictions efficiency of space is super important on mobile, and making use of pictures is a fantastic way of making the most of what space you have. Image sliders scroll through a number of selected images on a continual loop. By placing one of these near the top of your homepage and combining it with an attention-demanding title and description, you can create an unforgettable first-impression and a lasting snapshot of exactly what your business is about. Galleries are also an invaluable tool for giving the customer greater detail about your company and it's products or services, but hopefully the top of your homepage will already have them sold so you don't need to always place them in prime space the site. Of course if you have products to sell then include pictures and make sure they are of high quality - their is nothing more off-putting for a customer than a blurry product photo. Information, much like food, is best digested in smaller chunks. This is especially true on mobile devices where screen-space is limited and users can easily feel overloaded when presented with poorly organized information. To get around this many designers employ a concept called progressive disclosure, which is a convoluted name for what is a simple concept: sequencing information over several screens so that the user doesn't feel overloaded. Primarily this is done by splitting content across multiple pages and providing the user with a button they can press to view a menu and select which content they'd like to view. The key here is to make the homepage of your site as attractive and useful to the user as possible, so that they can't resist finding out even more. If you try to put too much content and information on only one page you will end up creating barriers for user engagement and they'll abandon your site halfway through because of its user unfriendliness. Converting a content-heavy desktop to mobile needn't be a daunting task. With a little bit of thought you can employ some of the above-mentioned tactics and end up with a super sleek, streamlined site in no time. No matter you're particular vision for a site, make sure that you have the user as the main priority. If it doesn't work for the user, then it doesn't work for you either. If you keep that in mind you'll be successfully mobile in no-time. Both the logo and picture give this site a personal, customized touch and the grey and orange colour scheme really works well. Multi specializes in Information Technology implementation for small to medium sized organizations. Go check it out! If you don't submit your new mobile site to Google, then there is no way for the search engine to find your site. If it can't find your site, then people searching for terms related to your site also won't be offered your site as a search result. Google does scour the web looking for new content, but it is hard to find a brand new site with no back links or other tracks. After submitting your site to Google it knows it exists and can start indexing your site's content. Once your site has been submitted to Google it means that web users will be able to find your site when they search for it's name, or for related topics. If you're site is for a shop that sells fresh organic apple juice for example, then your site will show in the list of results when someone searches for 'fresh organic apple juice'. To really harness this power it is worth searching for tips relating to search engine optimization (SEO), as there is plenty of information about this online. SEO can help your store go from page 10 in the search results to page 1, which will in turn increase the traffic to your site. Over 89% of consumers use a search engine for purchase decisions. This is a huge market that you're business is missing out on if it is not searchable or findable online. People's consumer choices are now heavily influenced by what they find when searching on the internet. The best bet for your business is to make sure that you are doing the influencing by putting your mobile site out there and submitting it to Google. Submitting your mobile site to Google should be a key part of your business's marketing plan, if you don't do it you'll be missing out on some key benefits for you and your business. To really optimize your online presence, having a social network presence and researching SEO are also incredibly helpful. Marketing your mobile site is an ongoing process with no defined end goal. Perseverance is key. The life of a seaman has always involved a lot of travelling and getting to see different parts of the world, that's what makes it such an appealing job to many. After years spent on the high seas visiting exotic places, I bet you could write a book full of amazing stories about what you've done and where you've been. This week's Site of the Week belongs to a man who was once a US Merchant Marine Officer and is now drawing on some of that experience to write stories that appeal to both adults and younger people. "I was raised in Oklahoma and moved to Fort Lauderdale Florida out of High School and entered into the private yachting industry. 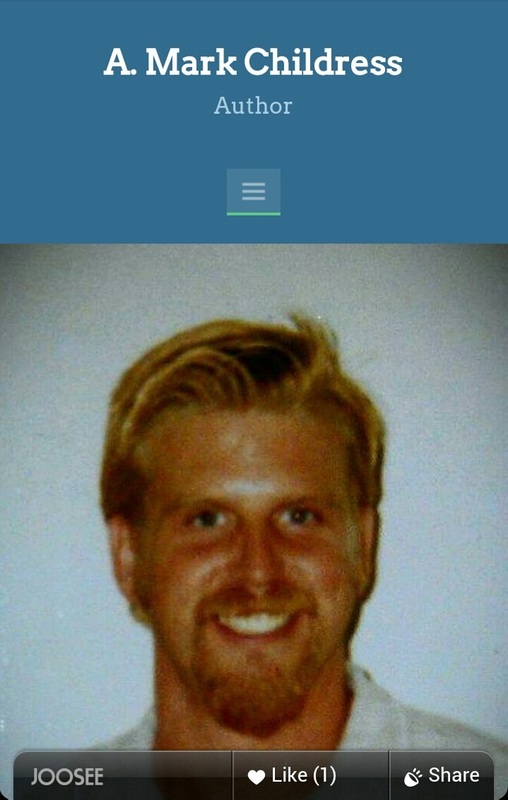 In 1993 I obtained my USCG Captain s license for a US Merchant Marine Officer. For years I wrote short stories of events that happened onboard the vessels , from being rescued by helicopter off of Cape Hatteras in the Carolinas to being chased by Mexican pirates off of the southern tip of Mexico. I've done forty two Panama Canal trips, nine transatlantic, two Suez Canal and two transpacks from LA to Hawaii. I've been lucky to have traveled all over this great world. Now, I've decided to take on my passion of writing and enjoying it 100 percent." It's getting increasingly difficult to ignore the evidence that having a mobile site is now an essential part of any businesses marketing strategy. It seems like every day more and more statistics, blog posts and infographics are being released evangelizing about the fact that people are using smartphones to go online, to purchase goods, to do local searches and that the upwards trend in these areas is phenomenal and undeniable. Images give a mobile site life, colour and expression. Images will often be the first thing a customer notices about your mobile site and it's important to choose carefully. Eye-catching images are great, but they also need to relate to your business and what it does. Use images as an opportunity to show the customer about your business and create a personal touch by including pictures of some of the staff or the location itself. Also remember to always check the quality of your images - blurry or low-quality images on your mobile site will make it look cheap and unattractive. Have you ever been on a website on your phone that wasn't mobile optimised? It's almost impossible to find your way around, with the simplest actions requiring lots of pinching, tapping or swiping. This is a sure-fire way to ensure the customer doesn't stick around to see what greatness you've got to offer them. To avoid this think about navigation with the user in mind, make sure they can easily access the information they are most likely to want. Split the site into pages each with a easily-readable font-size and make sure that the button for each page is a good-size so that the customer isn't always accidentally selecting pages she doesn't want. With all this talk of mobile websites it's easy to forget that smartphones are communication devices too. One massive benefit of having a mobile website is that you can include buttons that will allow the customer to take action immediately. With just one click the customer can phone or email you right away, or find your exact location on a map. A mobile site works best when it is designed to minimize the amount of friction between the customer and you. The customer should be able to get what she wants in as few steps as possible and click-to-action buttons are a great way to help her do this. Mobile device screens come in all different sizes - some of them big, some of them small. When writing the content for your mobile site it's best to design for people using smaller screens first. If you fulfill their needs then those on bigger screens will also have no problem, but if you include too much content then those on smaller screens will find your website hard work. Make sure that your mobile site's copy says everything that you want it to in as few words as necessary. This is good practice for all websites, but particularly important on mobile sites. Recommendations used to come from friends by word of mouth, either face-to-face or over the phone. These days this is still happening, but social networks such as Facebook and Twitter have provided a new, quicker and easier way for people to share and recommend the things they love. By adding social sharing buttons to your mobile site, you enable your customers to share your business with 100s of their friends in an instant. In doing so they spread your business to 100s of potential new customers and help your online reputation grow. If you follow these recommendations, then you'll be well on your way to creating a low-friction, user-optimized mobile site that makes the most of the advantages mobile devices can bring. The biggest mistake that people make is to think that they can simply make their desktop site viewable on phones and that will be good enough. The mobile internet functions in brand new ways and has unique features that can't be found elsewhere; mobile sites should be designed and optimized to take advantage of this. My site is about survival paracord bracelets, necklaces, bolo's & I also make snares for trapping small game for survival. 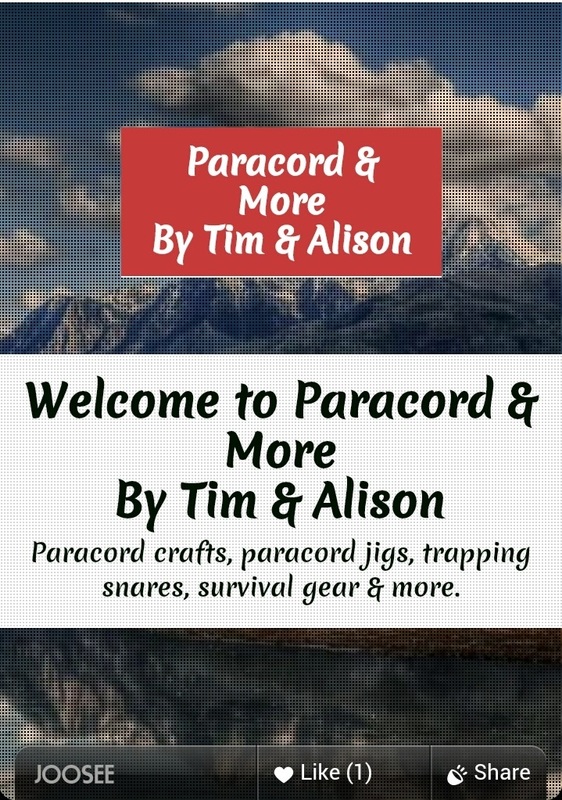 I make the jigs for all of the paracord crafts I make also. It's all about survival gear that's easy to wear or take with you in case you need it for an emergency.